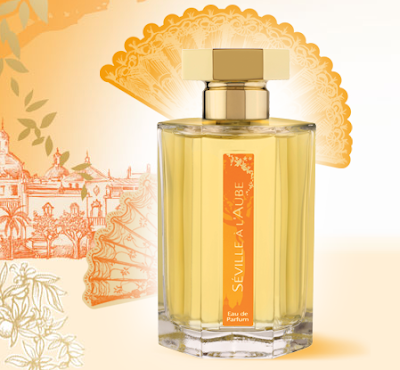 L'Artisan Parfumeur's Séville à l’Aube: Inspired by "one of the most beautiful nights in [the] life," of popular perfume blogger and writer Denyse Beaulieu, the reviews of this fragrance, created by Bertrand Duchaufour, hit all my sweet spots: orange flower, beeswax, frankincense, jasmine, smoke, and benzoin. I am chomping at the bit for a whiff, veering precariously near full-bottle-sans-sniff territory. A Lab on Fire's What We Do in Paris is Secret: When Dan Rolleri, Katie Puckrik's perfume pen pal, calls a fragrance gorgeous, I sit up straight and order a sample. I'm also wearing a bucketload of sunscreen. Perennial humid-weather favorites Nuit de Tubereuse and Boyfriend. I understand the desire to wear sheer, citrusy perfumes in the summer, fragrances the color of celadon and the texture of cucumber seeds. I keep my robot rosewater in the fridge to satisfy this need for breeze. But my fragrance, when it's this muggy, needs to dig in and open up a bit wild. I can't be wearing something frothy or delicate to the swamp; it's got to be juicy and a bit animalic to hold its own on days and nights like these. 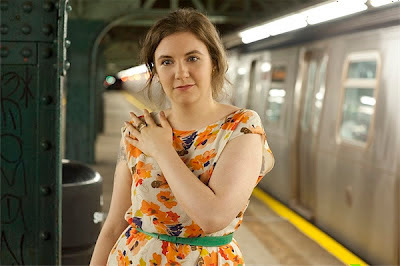 Dunham as Hannah Horvath on Girls. Summer smells and swells in this photo for sure. "I don't think about it very often, but occasionally there's a smell--a whiff of cat, of stale air-conditioner, of a frozen, gluten-free pizza warming--that is so purely ours that I could resume being a woman who cries dolefully every fifteen minutes at some perceived slight." 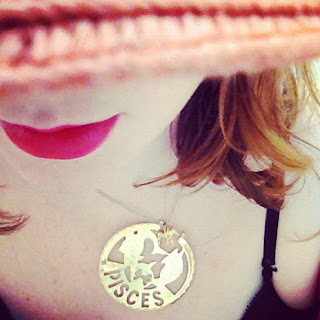 Love that pink lipstick picture, and really appreciate your approach to swamp-weather perfumes. I too like heavy stuff in the heat. Bring it on!